“Optimizing work productivity with Happiness” is a key principle that Stephen Jagger incorporates into his newest venture: Philippine-based PayrollHero.com. An entrepreneur since high school, Jagger’s Payroll Hero helps brings modern technology into an important HR process – Payroll Administration – essential for the function of any business. Payroll Hero aids in tracking and monitoring employee positioning, work check-in schedule thus replacing the more traditional punch card systems. It does this through the use of facial recognition technology – tracking employee faces using biometric facial recognition. It not only does this but also provides an integrated solution package offering time, attendance, scheduling, human resource information system, analytics, and payroll services. In addition to the F & B sector, Payroll Hero has also announced plans to focus on customer acquisition of clients in the retail and outsourcing sectors, given the reliance on hourly-paid employees. This require close monitoring, a function that Payroll Hero easily fulfills. HR in Asia was able to catch up with Jagger in an email chat, to share more about Payroll Hero’s future plans with us. 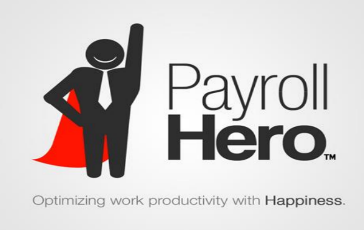 How did you come up with the concept of Payroll Hero? “My business partner (Michael Stephenson) and I setup an outsourcing company in the Philippines in 2008, and within that company Mike saw the need for a time, attendance, scheduling, HRIS and payroll platform in the Philippines. There’s more of that available in this video. What challenges did you face in developing and implementing Payroll Hero initially? What were your initial thoughts about the feasibility of your product? Did you face any problems trying to acquire customers? Why did you choose to base it and launch it in the Philippine, rather than back in Canada? What are the advantages of the Philippines as a startup destination, relative to other places in Asia? Which geographic region do you intend to focus on as your market for the new few years, say from now until 2017? Beyond the current outsourcing, F & B and retail sectors, do you see this working in other areas, such as in the logistics and manufacturing sector? Do you see other potential areas in which you could deploy the solutions package you currently have, beyond the HR space? How do you respond to critics who say it impinges on the privacy of workers, to collect so much data about their movements? What do you feel are the defining moments of Payroll Hero? Most memorable moment as an entrepreneur? Any advice for aspiring entrepreneurs out there?